In this tutorial, I will show you how you can setup your PuTTY Connection Manager (PuTTyCM) with GNS3. 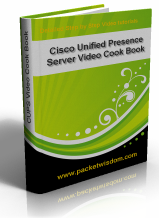 This will help you to manage all your cisco/network devices from single window. PuTTyCM is a great free utility that allows you manage PuTTY connections. It gives you the ability to create tabs and manage your connections in a much easier fashion.It gives you the power of Secure CRT absolutely FREE. Fully compatible with PuTTY configuration (using registry). Easily customizable to optimize workspace (fullscreen, minimze to tray, add/remove toolbar, etc…). Connection Manager : Manage a large number of connections with specific configuration (auto-login, specific PuTTY Session, post-command, etc…).